As with any major mechanical device ongoing maintenance is important to its ability to last and run effectively. Many manufactures establish maintenance schedules or programs for their products, that if not followed void their warranties. Your heating and cooling equipment is no different and as with a car, boat or motorcycle requires continuous maintenance to operate effectively. HVAC equipment that is not maintained will not operate efficiently, costing you more on your monthly bills and may cause a safety hazard. When you want a family owned, neighborhood company who cares. When you want a service technician who knows he’s a guest in your home, acts like one, and cleans up. When you want repairs done quickly, done right, and done at a fair price. 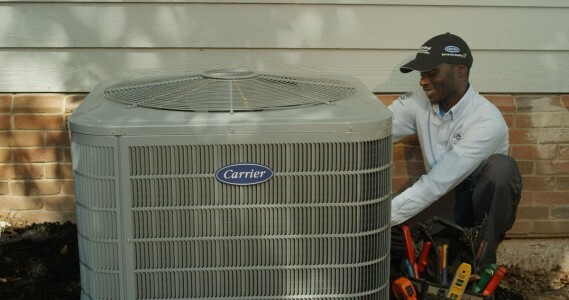 When we’re servicing your heating and air conditioning system, simply ask our technician regarding any questions you may have. They will be happy to provide you with the information you need. Click here to schedule your $87.00 system tune up.